(BRANFORD, Conn. – July 19, 2018) NECS, Inc., a leader in ERP software for food distributors, announces the availability of entrée.EXPRESS, an easy-to-use app for customers to quickly enter and manage orders from any mobile platform. With the new mobile ordering app, available on both the Apple App Store and Google Play, customers will no longer need to call in their orders or wait for their DSR to contact them, and they will no longer need to place their orders on a computer. The elegant and intuitive interface allows customers to speed through the ordering process with their standard order or one of their predefined order guidelines. Any defined specials or promotions customers qualify for will be displayed, along with their proper special pricing. 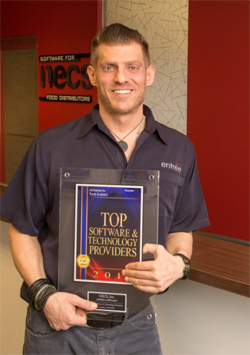 "Since 1987, NECS has been developing and improving our software for the fast-paced world of food distribution giving our customers a competitive edge,” said NECS President Chris Anatra. “With the introduction of our new mobile ordering app, entrée.EXPRESS, we now take our industry-leading food distribution software to a mobile platform – giving our customers a go-to tool for convenience and efficiency." Founded in 1987, NECS, Inc. is the maker of the popular entrée ERP system used by over 1,500 wholesale food distributors in the United States and Canada. Their system addresses the needs of wholesale food distributors, especially those dealing with meat, seafood, produce, cheese as well as full line distributors. NECS, Inc. currently employs 40 people in the greater New Haven, Connecticut area. 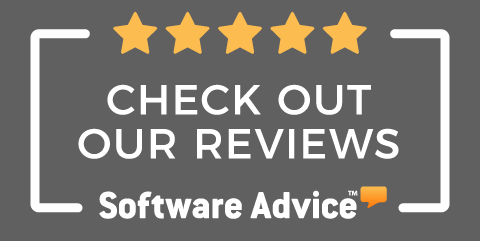 It has won numerous awards for its entrée system and most notably the Food Logistics Top 100+ Software and Technology Providers award every year since 2010. For more information, please visit www.NECS.com.